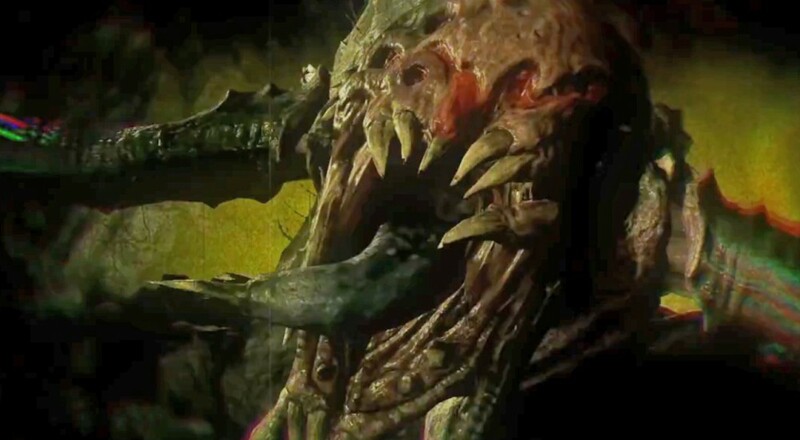 Evolve's stance on alien life is pretty clear: blow it to pieces before it devours you. That might seem a bit violent and certainly unscientific, but come on. Look at that thing. If there's an alien race out there even remotely similar to the baddies in Evolve, our one approach can only be a tactical nuclear strike. The ranks of Evolve's beasties just got a little more gnarly with the inclusion of the newest monster: the Gorgon. She's got a certain nightmarish quality guaranteed to terrify you and your buddies, at least until her acid dissolves you from the inside out. This fine lady launched on November 3rd, so if you were looking to amp up the evil of your Evolve missions, you can go ahead and jump on her. The Gorgon comes as a free addon for those who purchased the Hunting Season Two pack, or $9.99 if you buy her separately to spice up your hunt. I'm glad to see some support from Evolve post release, despite the fact that attention on the game dried up pretty quickly after launch. Maybe shaking up the community with more monsters or characters is what it'll take to give this game some longer lasting legs.